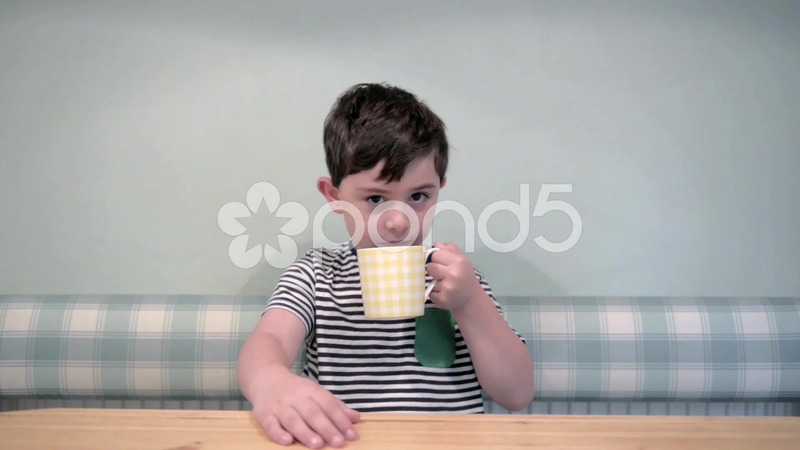 Description: Wide shot of a young boy sitting at the breakfast table on a bench drinking a cup of tea from a cup. He is in the kitchen, it is morning and he is still wearing his pajamas. This is a hand held video clip which is light using the ambient light inside the kitchen.